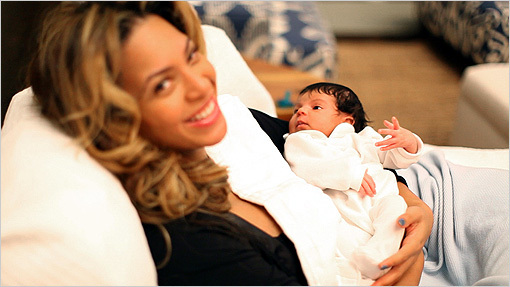 The proud new parents of baby Blue Ivy Carter recently released the first official photographs of the newborn baby girl. While other celebrities have sold the rights to the photographs of their children to publications for millions of dollars, Mr. and Mrs. Carter decided to instead post the pictures free of charge for their fans on Tumblr. As of posting, Beyonce and Jay Z have posted a total of four photos of their baby girl. It was also recently reported that the couple are moving to trademark Blue Ivy’s name. Many are expecting their wishes to be granted as the trademarking of children’s images are often approved. There is already hype surrounding the baby girl. Many are already beginning to discuss what potential she will have in the music and entertainment worlds. Regardless of whether or not Blue Ivy Carter turns into the megastar of the 2030’s or not, it is now the time to celebrate the blessing that her parents received. Arguably the most powerful couple in the music world today, Jay Z and Beyonce now know who will carry their legacy.